Today at InterDrone 2017, Intel CEO Brian Krzanich delivered the event’s Grand Keynote, where he unveiled Intel products to address critical steps of the unmanned aircraft systems (UAS) workflow, accelerating the path to generating actionable business insights. Continuing its momentum in the commercial drone market, Intel announced a new solution that will extend the value Intel adds, well after flights are completed. The newly announced Intel Insight Platform is a cloud-based data processing, analytics and reporting service that allows customers to store, share and manage the rich data that commercial drone systems provide. The Intel Insight Platform helps harness data collected during a drone flight to unlock business value. It will initially be available to select enterprise accounts. Developed in a strategic partnership with DELAIR*, this platform will address a range of commercial applications and verticals – from inspections and surveying in construction, mining, precision agriculture, oil and gas, and more. It is capable of generating 2D and 3D models, taking measurements, and making annotations for sharing across teams, as well as running advanced data analytics like change detection and plant counting. Intel believes the cloud-based platform will help drive unprecedented scale for commercial drone operations, powered by the technology company known for performance and quality companies can trust. To learn more, visit www.intel.com/intelinsight. 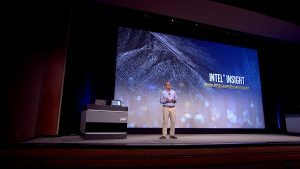 During his keynote, Krzanich presented Intel’s vision for accelerating the path from data to insights, as well as how drone innovation will enhance this process. Intel demonstrated exciting new technologies to advance automation with obstacle avoidance and pilot assistance function powered by Intel RealSense™ technology, flight planning automation with Intel Mission Control software and automatic change detection with Intel Insight Platform. These technologies will enhance the abilities of Intel drone solutions for commercial applications. 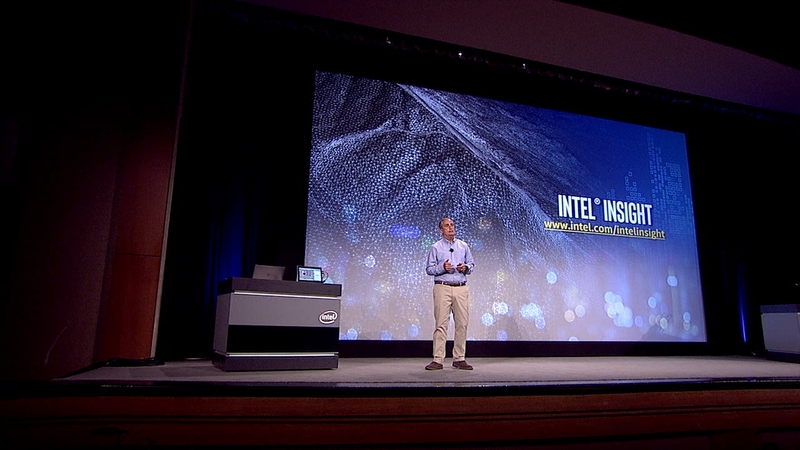 Krzanich showed an example of an inspection mission with the Intel Falcon™ 8+ system. In this case, Intel RealSense technology can help reduce pilot stress on complicated jobs by creating a “buffer zone” between the drone and the object being inspected. 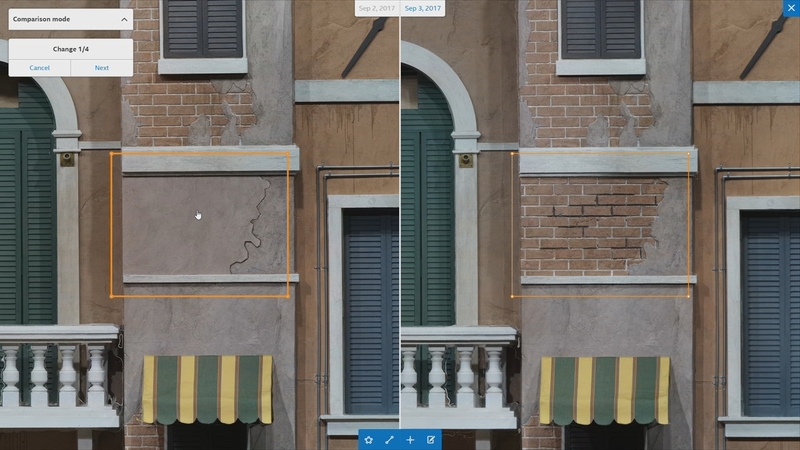 Setting the distance for a mission helps deliver data accuracy by keeping the distance constant with consistent resolution and perspective of the photos. On the return flight, the drone remembered its path and avoided obstacles. In an end-to-end demonstration, Krzanich demonstrated Intel Mission Control software and the Intel Insight Platform. With the press of a button, Intel Mission Control software allowed Intel to fly the fully-automated mission, assisted by Intel indoor location technology for position. After the drone captured the data, Krzanich uploaded it to the Intel Insight cloud-based platform and demonstrated the feature of change detection. 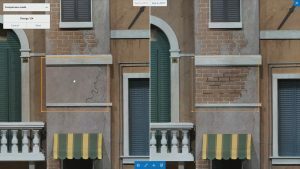 Once Krzanich generated the 2D model, he applied the change detection algorithm and the platform started a “tour,” much like a spell check function, that cycles through each of the changes detected in order, catching small anomalies. The advantage of this tool is that it allows inspectors to focus on just the areas reported where any change has occurred, which will save time and effort. Commercial drone technology is positioned to address real-world business challenges by enabling regular access to aerial data with Intel technology poised to contribute significantly to this transformation through its innovative hardware platforms, computing, automation and services for the growing drone ecosystem. In addition to existing strategic engagements with companies such as Topcon*, Airbus* and Volocopter*, Intel has expanded its ecosystem relationships to include DELAIR, Honeywell*, Pix4D*, Bentley*, Cyberhawk*, Aeroprotechnik* and HUVRdata* among many others, to bring these incredible new platform to the market. Through these new technologies and solutions, Intel is accelerating innovation to create meaningful products for its public safety partners. Today, Intel announced a program with the California-based Menlo Park Fire Protection District to support its continued research and utilization of drone platforms to further evaluate how UAVs can enhance and improve emergency response and critical responder situational awareness. The fire district is the sponsoring agency for California Urban Search and Rescue Task Force 3 (CA-TF3) and one of eight state and 28 national Urban Search and Rescue (US&R) Task Forces under the Federal Emergency Management Agency (FEMA) and the Department of Homeland Security (DHS) National Response System currently supporting water rescue missions in Texas related to Hurricane Harvey. Every day these men and women risk their well-being to protect and preserve the lives and property of others, and Intel is proud to support their efforts learning how advanced technology can impact and save lives. Intel continues to invest in technologies and solutions that transform the commercial drone ecosystem, demonstrating how drones can be used in productive and exciting ways, making amazing experiences possible, now and in the future. For more information at InterDrone, Intel will feature and demonstrate robust unmanned technology solutions at booth #500.